In Japan, Free Wi-Fi is NOT available in every street. 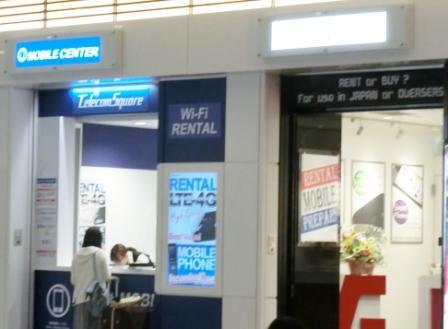 If you want Internet access anywhere in Japan for convenience, please go down this page to Rental Portable Wi-Fi. The government is preparing better Internet environments for international tourists now. More and more tourist spots and shopping centers are starting to offer free Wi-Fi to attract people. Most hotels offer Internet access in the guest rooms and the lobby. Check how to connect and whether it is free or not, before you make a reservation. The international airports such as Narita and Haneda (There are 2 international airports in Tokyo. For details, go to this page.) provide free Wi-Fi. Your devices can connect to "FreeWiFi-NARITA" / "HANEDA-FREE-WIFI". The major stations of JR East, such as Tokyo, Ueno, Shinjuku, Shibuya, Harajuku, Hamamatsucho, Akihabara, etc, provide free Wi-Fi. It is quite easy to connect. No special setting required. Your e-mail address is necessary only for the first time. The following PDF file about where exactly the service locations are and how you can connect is written in English, Chinese, Korean and Japanese. Many subway stations offer free Wi-Fi service with just your e-mail address. If it is a big, major station, you will be able to use free Wi-Fi for sure. To connect your devices, you go to the Wi-Fi spot of the station, select “Metro_Free_Wi-Fi” / “Toei_Subway_Free_Wi-Fi”, open your web browser and register your e-mail address. Many stores offer Wi-Fi service and I often see international tourists with a laptop and a drink. Check the black and green Free Wi-Fi sticker at the store. No need to struggle to find a Free Wi-Fi spot! If you are a big user of the Internet, want Internet access whenever you like, or just hope to connect in streets, Rental Portable Wi-Fi is the best way. It is a portable device provided by cell phone and/or networking companies. You can connect your devices to the Internet wherever cell phone networks are. Most Japanese iPhone, etc, users have a portable Wi-Fi device in their bag. It is available at Japanese airports. Or, many companies deliver it to your hotel with a reservation. Around 900 - 1000 yen per day. Credit cards are accepted. These services are for international travelers, so supports are convenient and friendly. A rental portable Wi-Fi enables you to browse Tokyo Direct Guide whenever you want to, which makes your stay safe, efficient and enjoyable! 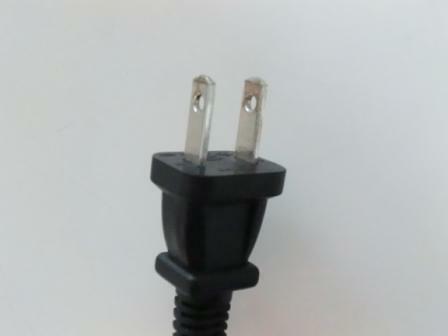 The voltage in Japan is 100 volts and the frequency is 50 - 60 Hz. 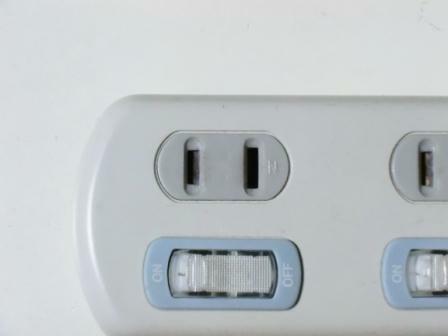 The Japanese electrical plugs have two, non-polarized pins as the following pics. 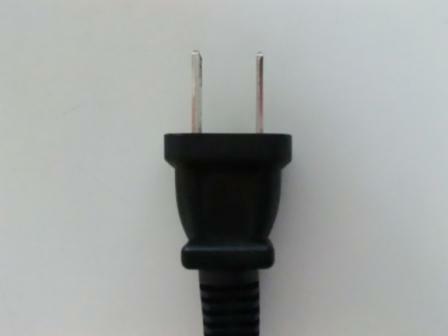 You need a transformer and a plug to use your devices that have conditions other than the above.